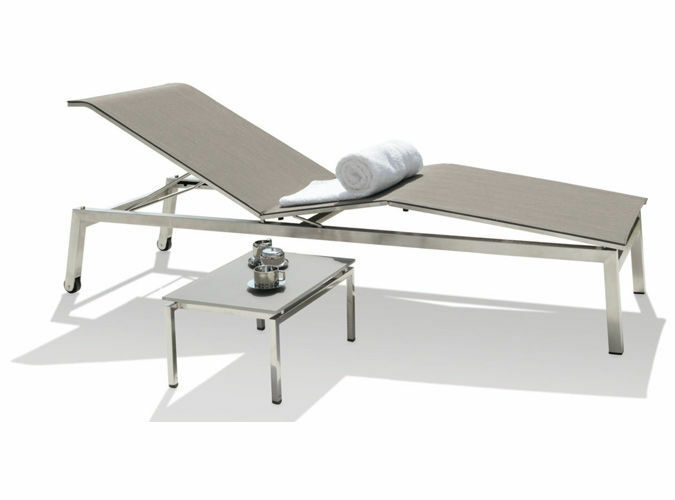 ROXY – an excitingly shaped sunlounger made of stainless steel with mesh covering in silver-grey or off-white. 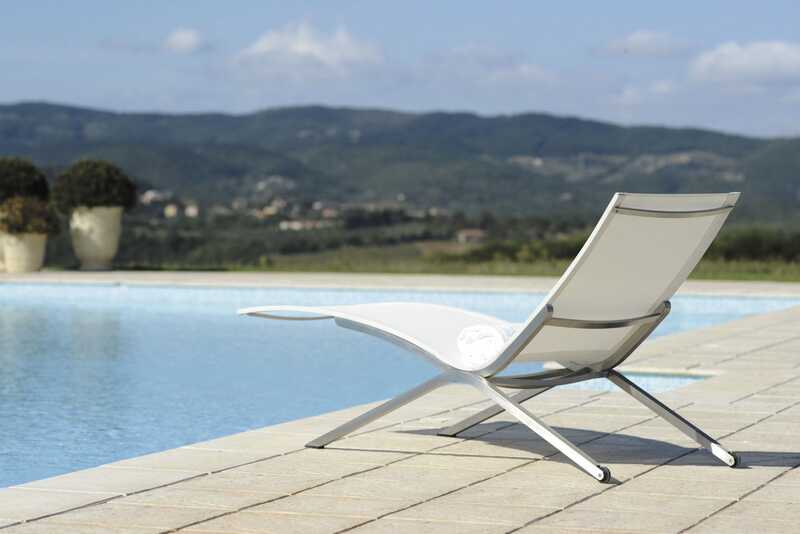 The dynamic and ideal curve guarantees a relaxed reclined position. Small wheel rollers help in moving around the stackable lounger.